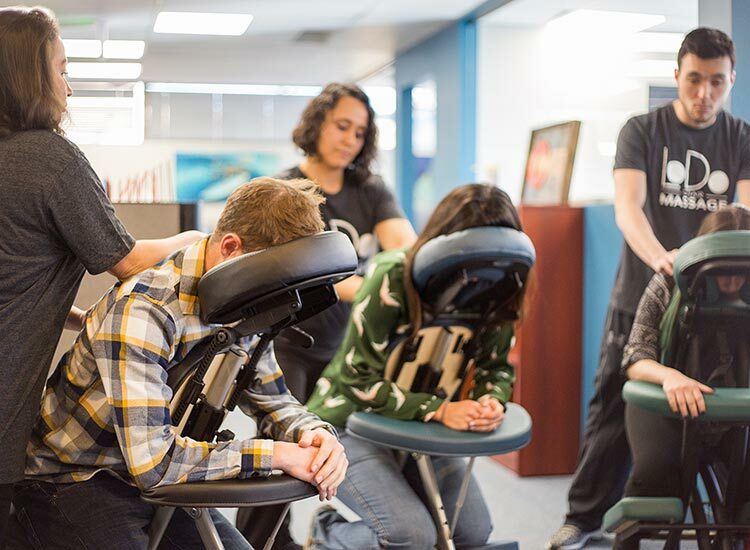 LoDo Chair Massage has been bringing chair massage to small businesses, corporations, events, parties and conventions since 2008. We hire only the best and most professional therapists, so that you can rest assured your staff will get just the relief and relaxation they need! Contact us at (888) 673-2535 to learn more about our chair massage therapists. 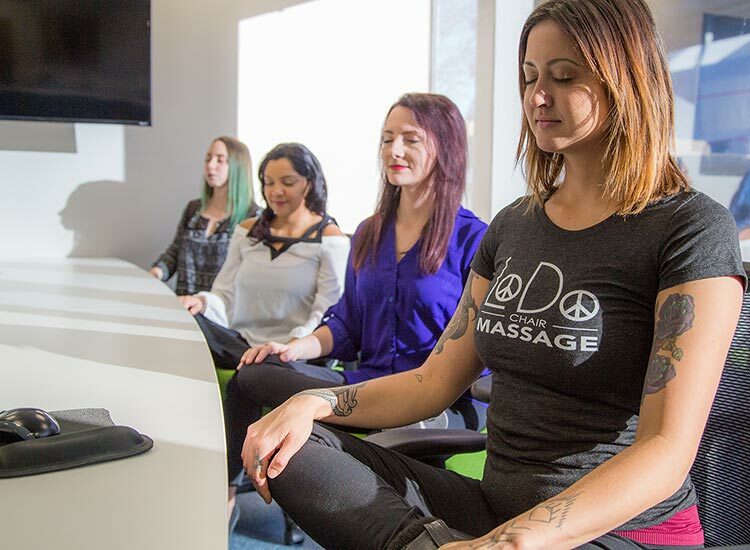 We also offer Corporate and On-Site Yoga Classes!